Example 1. You might have a dairy herd and at milking time find a cow with mastitis. You give her an antiobiotic shot, recording this in Farmware [Add Livestock Activity > Treatment/Provision > Antibiotics], but change the Head Count to 1 and record her tag number in the Notes field. Example 2. 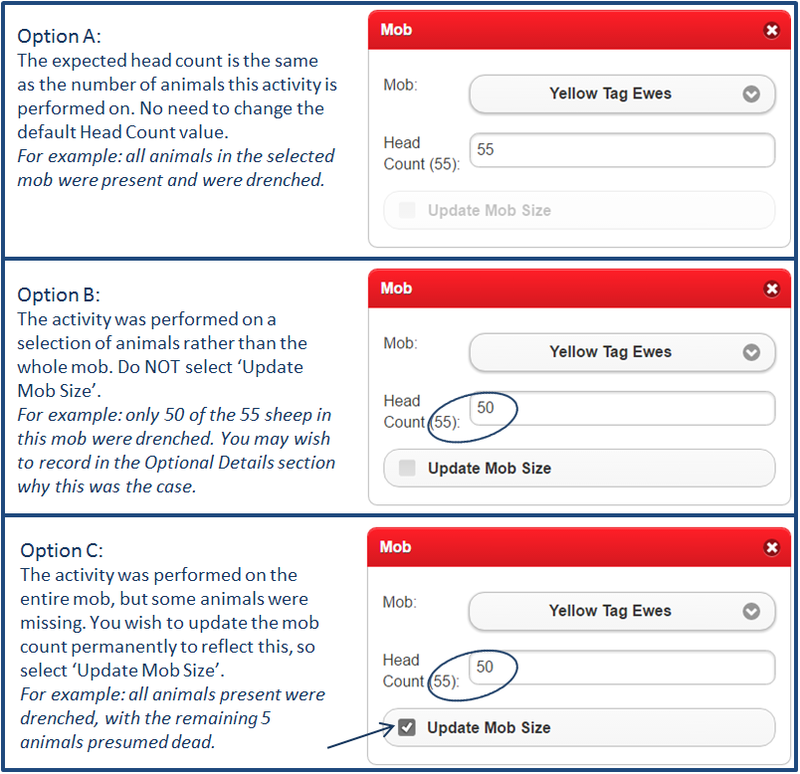 Crutching or dagging sheep - only 200 might need dagging out of a mob of 500 say before you sell them, so you change the Head Count to 200 for that activity.